Should the Palestinians Seek Justice NOW at the International Criminal Court? There is little doubt that the mid-February Netanyahu/Trump love fest at the White House further dampened already dim Palestinian hopes for a sustainable peace based on a political compromise. The biggest blow was Trump’s casual abandonment of the two-state solution coupled with an endorsement of a one-state outcome provided the parties agree to such an outcome, which as so expressed is a result almost impossible to suppose ever happening in the real world. Israel would never agree to a secular one-state that effectively abandons the Zionist insistence on a Jewish state with deep historical roots and biblical validation. The Palestinians would never agree to live in such a Jewish one-state that essentially abandoned their long struggle to achieve national self-determination, thereby gaining liberation from the last major remnant of the colonial era. With geopolitical bravado suitable for the real estate magnate that he remains, despite the presidential trappings of his formal role, Trump also vaguely promised to negotiate a grand deal for the region that evidently reached beyond the contested territory of Palestine so long locked in conflict, and thus encompassed neighboring countries or possibly the whole region. It is easy to speculate that such murmurings by Trump were not welcomed in either Jordan or Egypt, long favored by rightest Israelis as dumping grounds for Palestinians in the West Bank and Gaza. Such added ‘political space’ is attractive from an Israeli perspective, both to ensure that Israel maintains a comfortable Jewish majority if the one-state solution were ever forcibly implemented by Israel. At the same time the prospect of population transfer would allow Israel to achieve a higher degree of racial purity, a feature of the dominant Zionist imaginary long before Israel became internationally recognized as a state. An inflammatory part of this new political environment is the accelerated expansion of the existing network of unlawful Israeli settlements located in occupied Palestine. Although near unanimously condemned in Security Council Resolution 2334 last December, Israel responded by defiantly announcing approval of thousands more settlement units, endorsing plans for an entirely new settlement, and by way of a Knesset initiative provocatively legalized settlement ‘outposts,’ 50 of which are distributed throughout the West Bank in direct violation of even Israeli law. It is possible that the Israeli Supreme Court will heed anticipated judicial challenges to this latest move, and eventually void this Knesset law, but even if this happens, the passage of such a law sends a clear message of iron resolve by the political forces currently steering Israeli policy never to permit the establishment of a viable Palestinian state. In these circumstances, it becomes incumbent upon the Palestinian Authority to show the world that it is still alive, and it currently has few ways of doing this. Given these realities it would seem a no brainer for the PA to light up the skies of public awareness of the Palestinian plight by vigorously demanding justice at the International Criminal Court (ICC). After all there is a wide consensus on the global stage that all the settlements, and not just the outposts, are in violation of Article 49(6) of the Fourth Geneva Convention. These settlements have for decades served as a major obstacle in the search for a satisfactory diplomatic solution of the conflict. Of course, it would be naïve to expect Israel to comply with an adverse judgment of the ICC, or to participate in such a proceeding in ways other than by challenging the competence of the tribunal, but a favorable outcome would still be of great value for the Palestinians. It would cast Israel in an unfavorable light in relation to the UN, international law, and world public opinion, and undoubtedly encourage the further development of the already robust global solidarity movement. It seems useful to speculate on why there should be this ambivalence among Palestinian leaders. After all, international law, international public opinion, and even most European governments are all supportive of Palestinian claims with regard to the settlements. Israel remains more defiant than ever, and shows every sign of further expansion, possibly with an eye toward soon unilaterally declaring an end to the conflict, a move that Washington might find temporarily awkward, but in the end, acceptable. At the core of this debate about recourse to the ICC is the tricky question as to whether deference to the muscular vagaries of geopolitics serves Palestinian interests at this time. The argument favoring recourse to the ICC is almost too obvious to put forward. It would back Israel into a corner. The Netanyahu government is certain to react with anger and concrete expressions of hostility to any such move by the PA. Such a reaction would be widely seen as a convincing confirmation of Israel’s vulnerability to any impartial test as to whether its settlement policies meet the minimum requirements of international law. And most importantly for the PA it would demonstrate that despite recent political disappointments the Ramallah leadership was prepared to embark upon a controversial course of action that displayed political courage, including a willingness to endure expected vindictive acts of retaliation. Recourse to the ICC would play well with the Palestinian people, especially those living under occupation. They experience daily tensions with violent settler groups and see no future for themselves absent confrontation with Israel. If the PA chooses such a course, it would help restore support for the flagging claims of the PA to serve as the sole legitimate representative of the Palestinian people at the global level. This is turn could lead finally to durable arrangements of unity as between Hamas and Fatah, which would raise confidence levels that the Palestinians were prepared for this latest, difficult stage of their national movement. The arguments against going to the ICC are somewhat more elusive. There is no doubt that Palestine, recognized by the UN as a state now enjoys the jurisdictional qualifications to participate in ICC proceedings. What is less clear is whether the ICC would be responsive, and able to circumvent technical obstacles, such as finding suitable Israeli defendants. During its 15 years of operation the ICC has been very reluctant to be pro-active except in Africa, and even there it has been recently stung by an intense pushback by African governments and the African Union. The ICC has been reluctant to stir up political opposition in the West, which would certainly occur as soon as the ICC launched a full investigation of Palestinian criminal grievances against Israel. There is also the reverse problem of ICC action that might disappoint the PA. To appear balanced, the ICC would probably extend its investigation to include allegations relating to indiscriminate rocket fire from Gaza. It could then decide that a strong case of probable criminal responsibility attributable to Hamas existed, while allegations against Israel failed because of the inability to establish criminal intent. Although a setback for the PA, such an outcome at the ICC would be internationally criticized as contrary to reasonable interpretations of international law, and be widely regarded as a reflection of political pressures exerted by Washington. Likely, the PA is most inhibited by the ‘lawfare’ campaign being waged by Israel and the United States. Already during the Obama presidency there was Congressional legislation terminating financial assistance to the PA in the event of any recourse to the ICC. Since Trump these warnings have escalated, including the total suspension of financial aid, the closing of the PLO offices in Washington, and threats to put the PLO and Fatah back on the US list of terrorist organizations. It is evident that the PA is taking these unseemly threats seriously. There are also PA fears that any ICC initiative would induce Israel to move more quickly toward closure with respect to the underlying conflict, annexing most or all of the West Bank. Such a reaction would both be in keeping with Israel’s tendency to respond disproportionately to any formal action directed at the legality of its policies and practices. Israel is particularly sensitive about war crimes charges, and vows extraordinary measures should any of its citizens be so charged. Now that Netanyahu can count on unconditional support in the White House and the US Congress it would not be surprising to see him use the occasion of an ICC initiative to proclaim Israeli sovereignty over the whole of historic Palestine. In light of the above, it seems almost certain that the PA will not act take advantage of the ICC option any time soon. The PA is likely to adopt a posture of neither/nor, that is, neither explicitly ruling out recourse to the ICC, nor activating the option. This reflects the reality that the PA is caught between the rock of US/Israel bullying tactics and the hard place of an increasingly restive Palestinian population, being acutely reminded of its ordeal by the grim realization that 2017 is the 50th anniversary of the Israeli occupation. The United States posture, although somewhat more belligerently pro-Israel as a result of the Trump presidency, is really nothing new except in style. Even during the Obama presidency the US opposed every attempt by the PA to rely on international law or the UN to advance its national struggle. Instead of welcoming the use of law rather than weapons, the US Government castigated efforts of Palestine to gain membership in the UN System or to seek even symbolic relief for its grievances in international venues. This turn against international law, as well as against the UN, is clearly a signature issue for the Trump presidency, and not just in relation to Palestine, and this is not good news for the world. From all that we know Charles Taylor deserves to be held criminally accountable for his role in the atrocities committed in Sierra Leone during the period 1998-2002. Taylor was then President of Liberia, and did his best to encourage violent uprisings against the governments in neighboring countries so as to finance his own bloody schemes and extend his regional influence. It was in Sierra Leone that ‘blood diamonds,’ later more judiciously called ‘conflict diamonds’ were to be found in such abundance as to enter into the lucrative world trade, with many of these diamonds finding their way eventually onto the shelves of such signature jewelry stores as Cartier, Bulgari, and Harry Winston, and thereby circumventing some rather weak international initiatives designed to protect what was then considered the legitimate diamond trade. It is fine that Charles Taylor was convicted of 11 counts of aiding and abetting war crimes and crimes against humanity of the rebel militias that committed atrocities of an unspeakable nature, and that he will be sentenced in early May. And it may further impress liberal commentators that fair legal procedures and diligent judicial oversight led to Taylor’s acquittal with respect to the more serious charges of ‘command responsibility’ or ‘joint criminal enterprise.’ Surely, the circumstantial evidence sufficiently implicated Taylor in a knowing micromanaging of the crimes that it would have seemed reasonable to hold him criminally responsible for the acts performed, and not just for aiding and abetting in their commission. I share the view that it is desirable to lean over backwards to establish a reputation of fairness in dealing with accusations under international criminal law. It is better not to convict defendants involving crimes of state when strong evidence is absent to uphold specific charges beyond any reasonable doubt. In this respect, the Taylor conviction seems restrained, professional, and not vindictive or politically motivated. But as Christine Cheng has shown in a perceptive article published online in Al Jazeera (27 April 2012) there are some elements of this conviction that feed the suspicion that the West is up to its old hypocritical tricks of seizing the high moral ground while pursuing its own exploitative economic and geopolitical goals that obstruct the political independence and sovereignty of countries that were once their colonies. As Cheng points out the financing of the Special Court on Sierra Leone was almost totally handled by the United States, United Kingdom, the Netherlands, and Canada. In addition, there were pragmatic reasons to make sure that Taylor was never allowed to return to Liberia where he retained a strong following. It was feared that if Taylor was back in Liberia he would likely again foment trouble in the Liberian sub-region, and this would make it impossible to restore stability, and begin ‘legitimate’ mining operations, which is what the West apparently wanted to have happen in Sierra Leone. What is dramatically ironic about the whole picture is that the United States is the number one advocate of international criminal justice for others. President Obama has even taken the unprecedented step on 23 April 2012 of establishing an Atrocity Prevention Board under the authority of the National Security Council, and headed by Samantha Power a prominent human rights activist that has been serving in his administration. In his speech of 23 April at the U.S. Holocaust Memorial Museum announcing the formation of the Board Obama said that atrocity prevention and response was a ‘core national interest of and core moral responsibility’ of the United States. It is hard to fault such an initiative in light of the faltering American (and UN) response to recent allegations of mass atrocity in Syria and Sudan, and against the background of refusing to be more pro-active back in 1994 as a grotesque and preventable genocide unfolded in Rwanda. 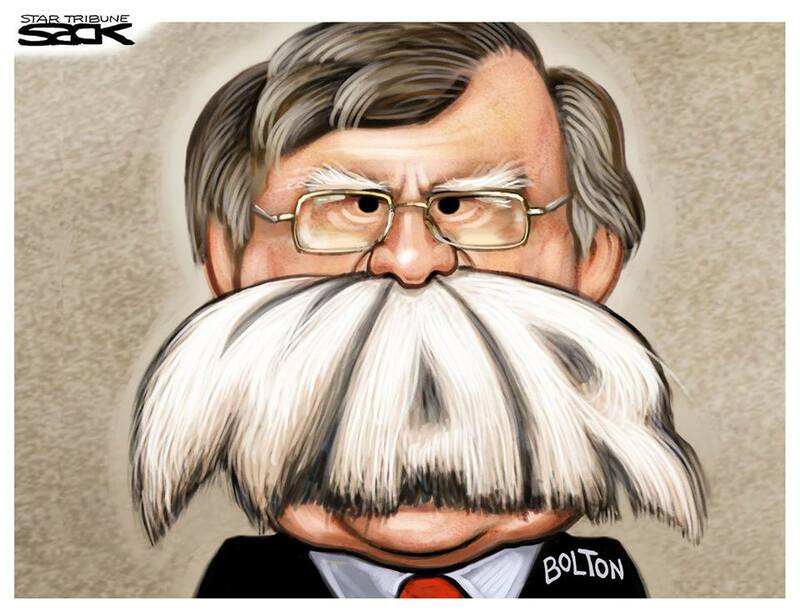 At the same time, there is an impression, the essence of the liberal mentality, of Uncle Sam surveying the world with a blinkered vision, seeing all that is horrible while overlooking his own deeds and those of such friends as Israel or Bahrain. Heeding the sound of one hand clapping it might be well to remember that the United States more than any country in the world holds itself self-righteously aloof from accountability on the main ground that any international judicial process might be tainted by politicized motivations! Congress has even threatened that it would use military force to rescue any Americans that were somehow called to account by the International Criminal Court in The Hague, and has signed agreements with over 100 governments pledging them not to hand over American citizens to the ICC. And yet it is American international criminal lawyers and human rights NGOs that have been most loudly applauding the outcome in the Taylor case, without even a whimper of acknowledgement that there may be some issues relating to double standards. If international criminal adjudication is so benevolent when prominent Africans are convicted, why does the same not hold for Americans? Given the structure of influence in the world there exists more reason for Africans to be suspicious of such procedures than Americans who fund such efforts, and are so influential behind the scenes. If aiding and abetting is what the evidence demonstrates, then should there not be at least discussion of whether international diamond merchants and jewelry retailers making huge profits by selling these tainted diamonds should not have investigated, and even prosecuted? There was a voluntary, self-regulating certification procedure was established, the Kimberly Process (2001) named after the city in South Africa where the meeting of concerned governments, corporate leaders, and civil society representatives took place. This joint initiative was especially pushed by large diamond sellers, such as the notorious De Beers cartel of South Africa, that were distressed by the downward effect on world prices by the availability of blood diamonds. A British NGO, Global Witness, reports that almost none of the prominent diamond retailers took any notice of this cooperative effort to restrict the flow of blood diamonds, and seemingly purchased diamonds at the lowest price without inquiring too much as to their origins or complying with the certification requirement established by the Kimberly Process. The latter process was partly developed to avoid a civil society backlash protesting this indirect support of atrocities, as well as protect the market shares and control of the established international companies that had long dominated the lucrative trade in diamonds. But isn’t revealing that Western corporations are asked to act in a morally responsible manner by way of a voluntary undertaking while political leaders of sovereign states in Africa are subject to the draconian rigor of international criminal law? 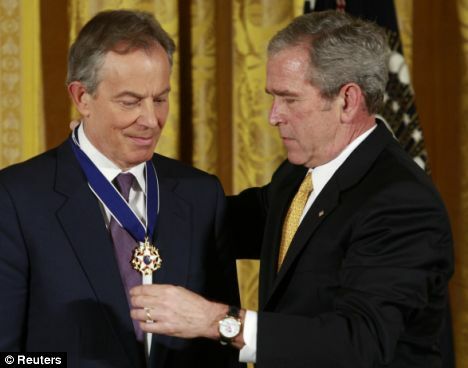 There are several observations that follow: (1) if non-Western leaders are supportive of Western interests, their atrocities will be overlooked, but if there is a direct confrontation, then the liberal establishment will be encouraged to start ‘war crimes talk’ (thus Milosevic, Saddam Hussein, and Qaddafi (with the latter killed before proceedings couild be initiated) were charged with crimes, while the crimes of those governing Bahrain, Saudi Arabia, and Israel were ignored); (2) the great majority of cases dealing with international crimes have been up to this point are associated with events and alleged criminality in sub-Saharan Africa, confirming the extent to which this region has been devastated by bitter conflicts, many of which are attributable to the remnants of colonialism (divide and rule; slave trade; arbitrary boundaries separating tribal and ethnic communities; apartheid; continuing quest for valuable mineral resources by international business interests); (3) the Western mind is trained not to notice, much less acknowledge, either the historical responsibility of the colonial powers or the unwillingness of the West to submit to the same accountability procedures that are being relied upon to impose criminal responsibility on those who are perceived to be blocking Western economic and political interests. The United States is particularly vulnerable from these perspectives. When we hear the names of Guantanamo Bay and Abu Ghraib the immediate association is with American war crimes. When American leaders openly endorse reliance on interrogation techniques that are generally condemned as ‘torture’ we should be commenting harshly on the wide chasm separating ‘law’ from its consistent implementation. When a soldier, such as Bradley Manning, exposes the atrocities of the Iraq and Afghanistan wars he is held in humiliating prison circumstances and prosecuted for breaching secrecy, with suggestions that his intent was ‘treasonous,’ that is, intended to help enemies. At least, if there was a measure of good faith in Washington, it should have been possible to move forward on parallel paths: hold Manning nominally responsible for releasing classified materials, mitigated by his motives and absence of private gain, but vigorously repudiate and investigate the horrible crimes being committed against civilians in Iraq and Afghanistan, as well as the battlefield practices and training programs that give rise to such atrocities. The Western powers have gone significantly further in sculpting international law to their liking. They have excluded ‘aggressive war’ from the list of international crimes contained in the Rome Treaty that governs the scope of ICC jurisdiction. When the defendants were the losers in World War II, aggressive war was treated at Nuremberg (and Tokyo) as the supreme war crime as it was declared to encompass the others, war crimes and crimes against humanity. The UN Charter was drafted to reflect this outlook by unconditionally prohibiting any recourse to force by a state except in self-defense narrowly defined as a response to a prior armed attack. But in the decades that followed each of the countries that sat in judgment at Nuremberg engaged in aggressive war and made non-defensive uses of force, and so the concept became too contested by practice to be any longer codified as law. This reversal and regression exemplifies the Janus face of geopolitics when it comes to criminal accountability: when the application of international criminal law serves the cause of the powerful, it will be invoked, extended, celebrated, even institutionalized, but only so long as it is not turned against the powerful. One face of Janus is that of international justice and the rule of law, the other is one of a martial look that glorifies the rule of power on behalf of the war gods. Where does this line of reasoning end? Should we be hypocrites and punish those whose crimes offend the geopolitical gatekeepers? Or should we insist that law to be law must be applied consistently? At least these questions should be asked, inviting a spirit of humility to emerge, especially among liberals in the West.